“When the chance came to be involved in a collaboration with National Museum Wales, and to write a new piece for an event in the Museum’s Fragile? exhibition, I was delighted. I have always enjoyed collaborating with artists from other disciplines and have learned a great deal over the years from working with poets, playwrights, painters and choreographers. “However this was something new, because ceramics are the focus of this particular exhibition. Fragile? showcases the diversity of contemporary ceramics practice, exploring the artistic and expressive possibilities of ceramic as a material. “Several postgraduate composers were to be involved in the project and we were each paired with a ceramicist whose work was to be featured in the exhibition. I was paired with Ashraf Hanna, a ceramicist based in West Wales. “I began researching Ashraf’s work and quickly discovered that he is at the forefront of innovation in ceramics practice, recently winning a Creative Wales Award to fund his project An Exploration in the Language of Form and Material. It was clear that many of the concerns in his work were comparable with those of a composer, and I contacted Ashraf to find out more. “I was sent an image of the specific work that I was to respond to, called Rhythm Vessel. 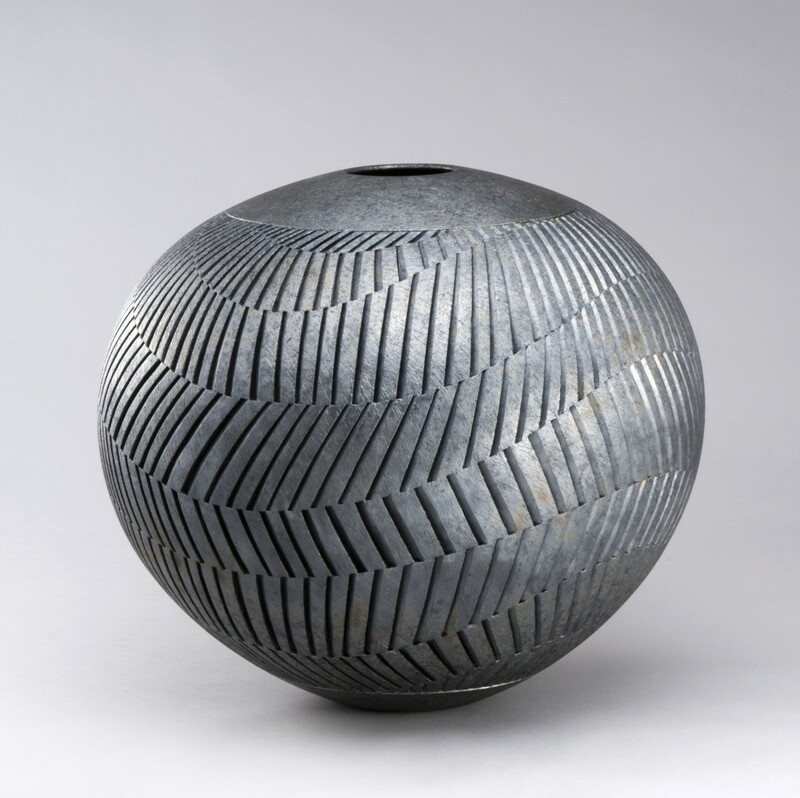 Made of raku-fired earthenware, it has a surface carved with an intricate pattern of curved and straight lines. I discussed the ideas behind the piece with Ashraf and later sent him some thoughts about how I could use the ideas within the piece to inform my response. “Two main aspects of Rhythm Vessel stood out for musical development – one was the title, together with the rhythmic sweep and energy of the surface design, while the other was the whole firing process involved in the creation of Rhythm Vessel. “Raku is a very rapid and intense firing method that involves placing the pot in the kiln only after it has reached a very high temperature, before removing it while still extremely hot, leaving it to cool in the open air or plunging into water to cool suddenly. “As I was writing the piece, which I called Ellipse, I became aware that these aspects of Rhythm Vessel were having a direct effect on the music, leading me to explore writing in ways that were different from my other pieces. The rhythmic energy of Ashraf’s work encouraged me to explore pulse and rhythm in a more defined and discrete way than usual, while the shape of the vessel and the patterns on the surface led me towards a greater use of circularity in the way the musical material is revisited and reimagined. 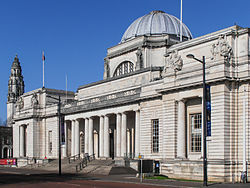 The pieces by our composition students involved in this project – Blair Boyd, John Cooney, Jordan Hirst, Julia E Howell, Martin Humphries, Carol J Jones, Richard McReynolds, and Daniel Ross – will be performed in concert at National Museum Wales, Thursday 28 May, 7pm. The performances by Lisa Nelsen (flute) and Gwenllian Llyr (harp) will be part of a programme of late night music at the Museum. Visit the Museum’s website for ticket information.